Plastic Card Printing offers a number of card personalisation solutions for low and high volume tasks. Inkjet, Thermal, DOD are all possible. Multiple colours can be used for thermal printing – Please ask us for colours offered. Embossing (conditions apply) Scratch off panels can also be applied. 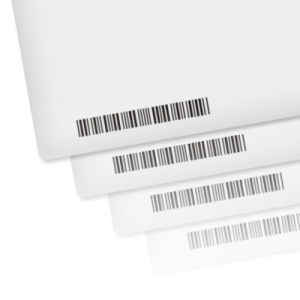 If you only need a few cards numbered from 1 to 10, or numbers exceeding 500,000, Plastic Card Printing can personalise a run of cards for you by encoding a sequence of numbers anywhere on the card. 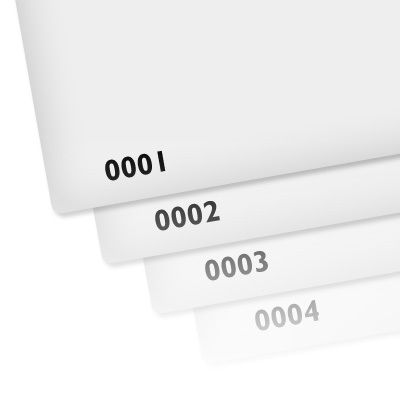 This numbering could be printed in regular digits, or into a barcode/QR code, digitally written into the magnetic strip, or any combination of these options. If you have a spreadsheet of specific numbers and other details, we can also use this information to print details on each card such as names or other card holder information. Serial number encoding is ideal for club membership cards, staff discount cards and anything else where a visually unique cards need to be presented.